Build the hub for all your data—structured, unstructured, or streaming—to drive transformative solutions like BI and reporting, advanced analytics and real-time analytics. Take advantage of the performance, flexibility, and security of fully managed Azure services such as Azure SQL Data Warehouse and Azure Databricks to get started with ease. Ensure productivity with industry-leading SQL Server and Apache Spark engines, as well as fully managed cloud services that allow you to provision your modern data warehouse in minutes. Accelerate data integration with more than 30 native data connectors from Azure Data Factory and support for leading information management tools from Informatica and Talend. Empower your data scientists, data engineers and business analysts to use the tools and languages of their choice on big data. Read how Rockwell Automation cut development time by 80 percent for shorter time to market, reduced costs and improved customer responsiveness. Easily get started with a cloud solution or a hybrid option based on your business requirements. Only Microsoft lets you take consistent advantage of SQL Server performance, familiarity and security, in a private cloud or as a managed service in MPP architecture in Azure. Reduce costs and the complexity of managing existing data transformations through the hybrid data integration experience. Finally, enable a consistent user experience with common identity across on-premises services and Azure. Learn how Carnival Maritime built a hybrid solution that predicts onboard water usage, saving $200000 per ship annually. Take advantage of the flexibility to build and deploy machine learning models on-premises or in the cloud. Use the data science tool of your choice with support for the best of Microsoft and open-source innovation. Easily distribute insights across your organization through rich integration with Power BI and other leading business intelligence and visualization tools like Tableau, Qlik, MicroStrategy and Alteryx. Find out how ASOS delivers 13 million personalised experiences with up to 33 orders per second. Built-in advanced security features include Transparent Data Encryption, audit, threat detection, Azure Active Directory integration and Azure Virtual Network endpoints. Azure services comply with more than 50 industry and geographical certifications and are globally available across 42 regions to keep your data where your users are. Finally, Microsoft offers financially backed SLAs to ensure peace of mind. Read why GE Healthcare delivers its core solutions using Azure data services. Rubikloud transforms retailers with accessible AI by bringing together first- and third-party customer data for actionable insights. Carnival Maritime reduces costs through intelligent resource optimisation by using machine learning on its hybrid data platform. Reckitt Benckiser drives business growth by empowering its sales team with real-time insights on in-store SKU performance. A modern data warehouse lets you bring together all your data at any scale easily and to get insights through analytical dashboards, operational reports or advanced analytics for all your users. 1 Combine all your structured, unstructured and semi-structured data (logs, files and media) using Azure Data Factory to Azure Blob Storage. 2 Leverage data in Azure Blob Storage to perform scalable analytics with Azure Databricks and achieve cleansed and transformed data. 3 Cleansed and transformed data can be moved to Azure SQL Data Warehouse to combine with existing structured data, creating one hub for all your data. Leverage native connectors between Azure Databricks and Azure SQL Data Warehouse to access and move data at scale. 4 Build operational reports and analytical dashboards on top of Azure Data Warehouse to derive insights from the data and use Azure Analysis Services to serve thousands of end users. 5 Run ad hoc queries directly on data within Azure Databricks. Transform your data into actionable insights using the best-in-class machine learning tools. This architecture allows you to combine any data at any scale and to build and deploy custom machine learning models at scale. 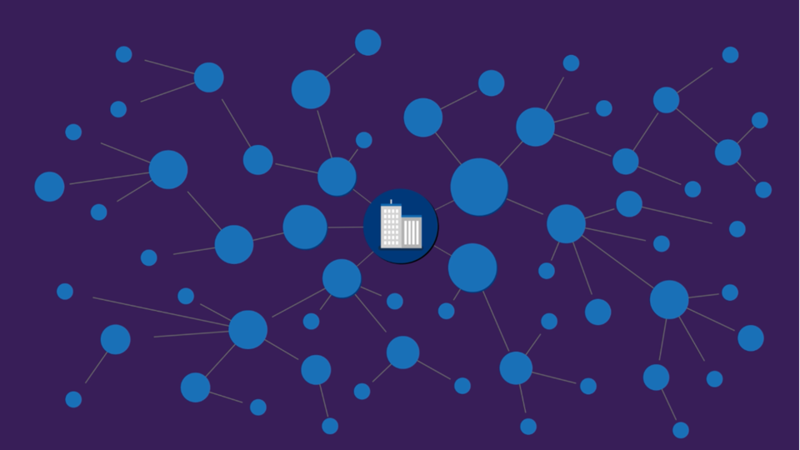 1 Bring together all your structured, unstructured and semi-structured data (logs, files and media) using Azure Data Factory to Azure Blob Storage. 2 Use Azure Databricks to clean and transform the structureless datasets and combine them with structured data from operational databases or data warehouses. 3 Use scalable machine learning/deep learning techniques, to derive deeper insights from this data using Python, R or Scala, with inbuilt notebook experiences in Azure Databricks. 4 Leverage native connectors between Azure Databricks and Azure SQL Data Warehouse to access and move data at scale. 5 Power users take advantage of the inbuilt capabilities of Azure Databricks to perform root cause determination and raw data analysis. 6 Run ad hoc queries directly on data within Azure Databricks. 7 Take the insights from Azure Databricks to Cosmos DB to make them accessible through web and mobile apps. Get insights from live streaming data with ease. Capture data continuously from any IoT device or logs from website clickstreams and process it in near-real time. 1 Easily ingest live streaming data for an application using Apache Kafka cluster in Azure HDInsight. 2 Bring together all your structured data using Azure Data Factory to Azure Blob Storage. 3 Take advantage of Azure Databricks to clean, transform and analyze the streaming data and combine it with structured data from operational databases or data warehouses. 4 Use scalable machine learning/deep learning techniques, to derive deeper insights from this data using Python, R or Scala, with inbuilt notebook experiences in Azure Databricks. 5 Leverage native connectors between Azure Databricks and Azure SQL Data Warehouse to access and move data at scale. 6 Build analytical dashboards and embedded reports on top of Azure Data Warehouse to share insights within your organization and use Azure Analysis Services to serve this data to thousands of users. 7 Power users take advantage of the inbuilt capabilities of Azure Databricks and Azure HDInsight to perform root cause determination and raw data analysis. 8 Take the insights from Azure Databricks to Cosmos DB to make them accessible through real time apps. Datometry Hyper-Q is a next-generation virtualisation technology that allows database applications to run natively on different databases by translating database queries and responses in real time. Informatica Intelligent Cloud Services automates data migration and integration to Azure. Tableau Server is a solution for distributing and collaborating on content created in Tableau.